Photos from The 100 Season 5 premiere which is called "Eden"
The CW has released some preview images to promote the highly-anticipated fifth season premiere of The 100. You can find the photos below; but first, how about an official description for the episode which airs on April 24? HOPE — In the fifth season premiere, Clarke (Eliza Taylor) struggles to survive on a desolate, scorched earth while her friends in space come across a long-awaited beacon of hope. Bob Morley, Paige Turco, Henry Ian Cusick, Marie Avgeropoulos, Lindsey Morgan, Richard Harmon, Chris Larkin and Tasya Teles also star. Dean White directed the episode written by Jason Rothenberg (#501). Original airdate 4/24/2018. Here are the photos from The 100 Season 5 premiere. We ask that if you like the gallery to PLEASE link to KSiteTV rather than reposting the photos as Tweets or on Tumblr. It’s the only way we can afford to keep a website like this alive. Thank you! 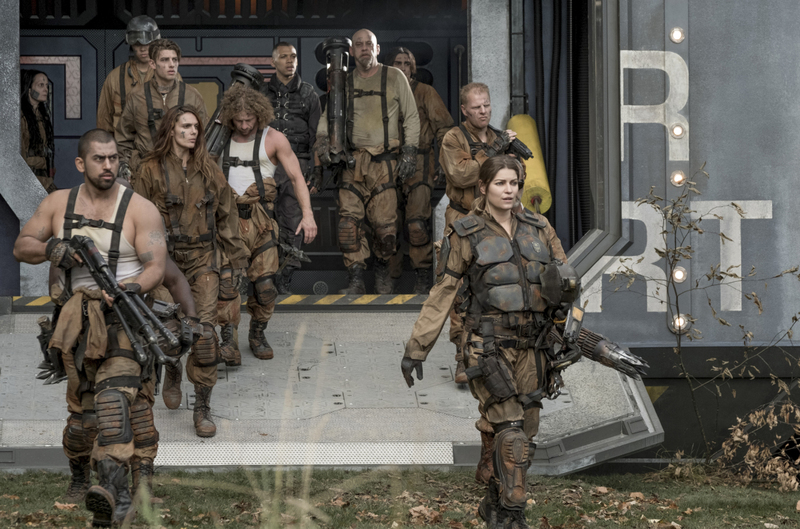 The 100 -- "Eden" -- Image Number: HUN501b_0165.jpg -- Pictured (far right): Ivana Milicevic as Diyoza -- Photo: Katie Yu/The CW -- ÃÂ© 2018 The CW Network, LLC. All rights reserved.